LUCY K. (WAIT) KING. The lady whose name gives title to the following sketch is well known in the section in which she resides. She is a person of prominence, not only on account of the honored name she bears, but also from her personal excellence of mind and heart. Her father, Thomas B. Wait, Jr., was a native of Maine, as was also his father, Thomas B. Wait, Sr. Like most of the prominent and leading families of New England, the Wait family of whom our subject is a descendant trace their ancestral line back to Old England, the birthplace of so many of the wisest and best men of the age. Thomas B. Wait, Sr., was a printer and book publisher in Portland, Me., and edited and published the first paper printed in that city. He removed to Boston, Mass., where he conducted the largest publishing house in that city at that time. Here he continued in business until his death, which occurred at an advanced age. The father of our subject was educated for the profession of a lawyer, and received a fine education, graduating from one of the finest law schools in the East. He opened a law office in Brooklyn, N. Y., and practiced there with considerable success for some years, but not liking the profession he gave it up. 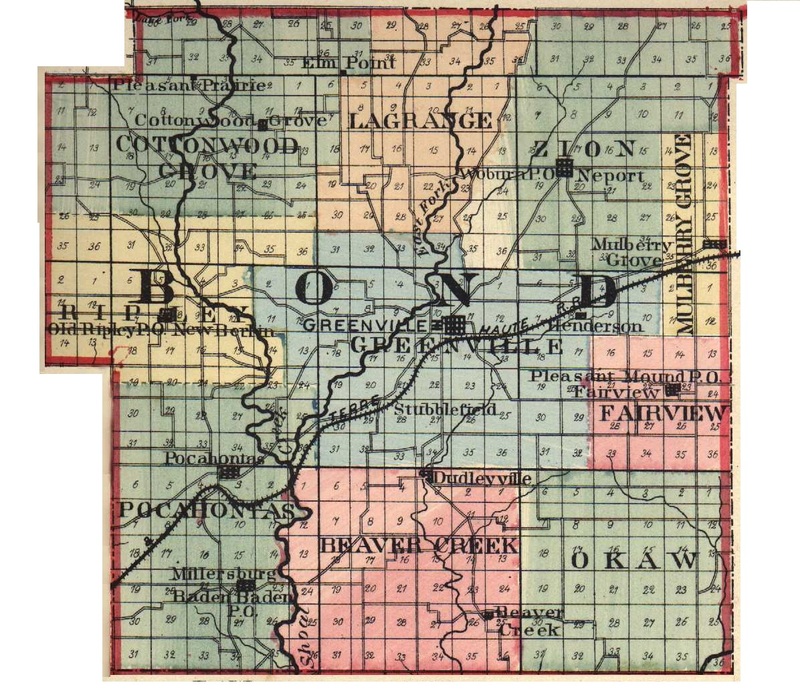 In 1818 he came West in company with his brother, William S. Wait, and both men entered large tracts of land in Bond and Madison Counties, Ill. The journey was made overland by wagon, and by flat-boat down the Ohio River. Mr. Wait located in what now is known as Old Ripley Township. At that place he built a log cabin and the first gristmill in Bond County. Here he remained for several years enjoying the wild life, so fascinating to many sons of civilization, and making lasting friendship with the Indians, who wandered by and often stopped to beg. Deer were frequent visitors, and it would not have been very difficult to find a "dear gazelle" among the wild creatures who fled at the sight of the hunter. Venison was the main sustenance of the family during their travels through the Western country. Tiring of the life of privation which a home in the wilderness made necessary, Mr. Wait took his family to Indiana, and here he remained for a short time but a restlessness seemed to again take possession of him, and again he started Westward, and spent some months in Kentucky. Finally, he decided that more desirable homes could be procured farther West, and he bought land in Iowa, and then decided to conduct a general store. With his family he was on his way to his new home with a stock of goods, when he was suddenly stricken with cholera, and in that awful epidemic died on the boat at Graf ton, a small station not far from Alton, Ill. At that time there had been no brave Stanford to test the efficacy of inoculation, and cholera swept through the land with irresistible fury. So ended the life of a man who was possessed of great gifts of mind, and who was ambitious to advance himself and family in the world. The mother of our subject was Lucy Kelly, a noble woman, born in Norwich, Conn., where her father was a ship-owner. She became the honored mother of nine children, as follows: Elizabeth L., Charles A., Rebecca, Mary E., Ann C., William, Thomas, Lucy K., and George T. After the sad death of her husband Mrs. Wait settled in Alton, and opened a school, for there was necessity facing this bereaved mother with her helpless brood about her. Finally she took charge of the Piasa Hotel, when it was here first opened up to the public. Among her patrons came Daniel Webster, on one of his Western trips. The great statesman complimented her highly upon her ability to please her guests and make a hotel seem like a home. Her life had some thrilling experiences, as the following will testify: Elijah Lovejoy, the famous editor and Abolitionist, who was killed and dragged through the streets of Alton, for his temerity in publishing an Abolition paper, was a boarder at her house at the time, and she was the first one to ring the church bell and give the alarm that called general attention to the terrible crime. Eventually, Mrs. Wait came back to Bond County, and bought three hundred and forty acres of land four miles north of Greenville and died there at the age of fifty-eight years. She was a woman of superior mind, well educated, and had energy and a faculty for management which would have made her prominent in any position. Her daughter, the subject of the present writing, grew up here and attended school in the log schoolhouse with her brothers, and remembers well the slab benches with pin legs and the rough puncheon floors. This was a subscription school. After this she was given the advantages of a good private school in Greenville. On September 12, 1855, she was married to Elisha H. Blanchard, who was born on her present farm. His father, Seth Blanchard, came to Bond County about 1820, and was a large land-owner and prominent farmer. After marriage our subject and her husband settled on this place. He was a prosperous farmer and owned eight hundred acres of valuable land. He was a large stock-raiser, and a very energetic and enterprising man. By this marriage five children were born: Lucy L., Ralph W. (deceased); Grace, George H. (deceased), and William H. (deceased). The death of Mr. Blanchard took place in June, 1866. The second marriage of our subject took place in 1869, to Edward T. King. His death occurred some years ago. Mrs. King is one of the largest land-owners in this section, having four hundred and sixty-four acres of fine land, all under a high state of cultivation, which she rents. The location of her large residence is upon an elevation back from the highway, and is surrounded by a beautiful grove, which commands a fine view over the country to the South and West. She and her accomplished daughter enjoy life, and spend much time at the fashionable summer resorts. They have spent one spring and summer upon the Pacific Coast. They travel a great deal, and are highly cultured ladies. Extracted 21 Dec 2016 by Norma Hass from 1892 Portrait and Biographical Record of Montgomery and Bond Counties, Illinois, pages 443-445.